As many website owners are aware the content on their site is really important, but if you ask somebody that is involved in SEO they will tell you that Content is King. So what is SEO content writing? It is a form of writing that helps a website rank higher in related keyword searches. The writer uses certain pertinent keywords in the title of a web page or blog posts and then strategically use them in various places. As an experienced content writer for Voova Digital it is one of our biggest requirements to provide our clients with quality content that can elevate an average website to one that ranks higher and achieves its objectives. You have to remember that badly written content can harm a site’s SEO as much as well-written content can improve it. One of the main starting points before writing can actually begin is research. This can take a couple of avenues as it is important that research is done not just on the subject matter of what the site is all about. But also research in how the owner of the site wants to represent himself and his business in the marketplace. General research – The content on a site must be accurate, sites that act as reference points because of their detailed information are the best. Research should also be undertaken on competitor sites and the general market. Owner research – There is no use writing content just to add words to fill up blog pages and so forth. The owner of the website must give direction of how he wants to present his website to his target audience, this includes keywords but more specifically the tone he wants to set, i.e friendly, informative, professional, laid-back etc. When writing content you should always keep in mind the objectives you are working to. Keywords – Don’t assume keywords are specific terms that people would use, research well and think from their perspective. A good idea is to draw up a list on an Excel spreadsheet. Solve Problems – Quality content will solve people’s problems, remember the ultimately the content that you write needs to be useful, and if it is not then no matter how much optimization follows it will not work. Ranking – Remember one of the main objectives of the writing is to improve rankings. So you have to bear in mind things like the length of the piece and always write between 500-700 words for blogs. If a piece of content is three hundred words or less then Google terms it as thin content and has trouble working out what the page is all about. Your content should also include both internal and external linking when possible. It should appear in the text like keywords should and that is naturally. The prose should flow and not read like an advert, and to do this the writing should read as natural as possible. Just sticking in five unrelated words to add a link is no good whatsoever, plan your content so you can include key wording or links so that they do not stand out. Internal link – an internal link is a hyperlink that directs the reader to another page on the site. External link – an external link will direct the reader to a page on another website that will have some bearing on what you are writing about. Linking to other trustworthy material helps your site rank as an authority, and Google will then find it easier to work out what your site is all about. Many content writers have to operate under extreme pressure due to workload and customers demands. But a good copywriter will always check their work thoroughly as simple mistakes cannot be accepted whatsoever. You can check for plagiarism against reference material that you have used with software such as Copyscape. But some grammar and spelling mistakes are not highlighted and there is nothing like bad English on a website. It reflects upon the care and attention that has been paid to the rest of the site and looks very amateurish. If you wish to see how the Voova professional writers conduct themselves when writing take a look at these three articles: SEO Risks to Take & SEO Risks to Avoid, Social Media & Business Marketing, and A Guide to Website Migration. 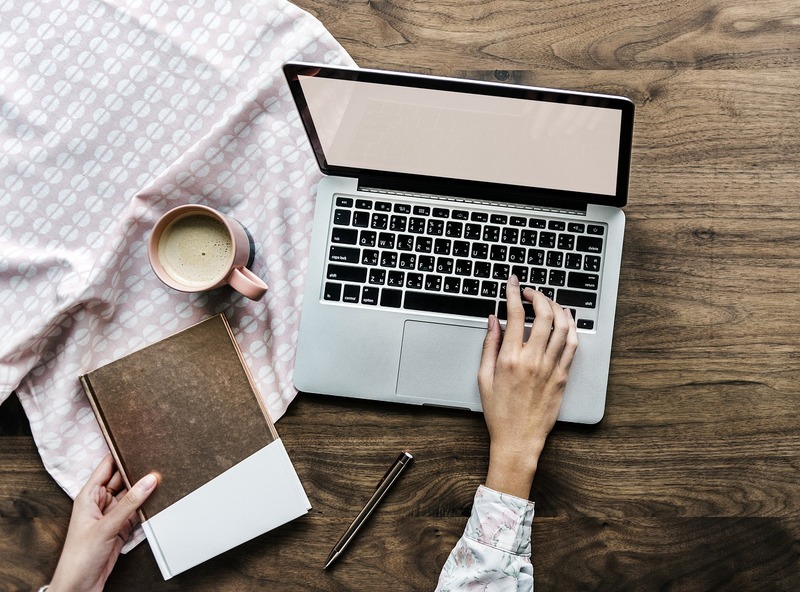 If you want assistance with your content writing, then why not contact us and see what services we can offer you to improve the content on your site.